Place the mochi in the sections of a hot waffle iron, close and cook until crispy and slightly golden, about 5 minutes. 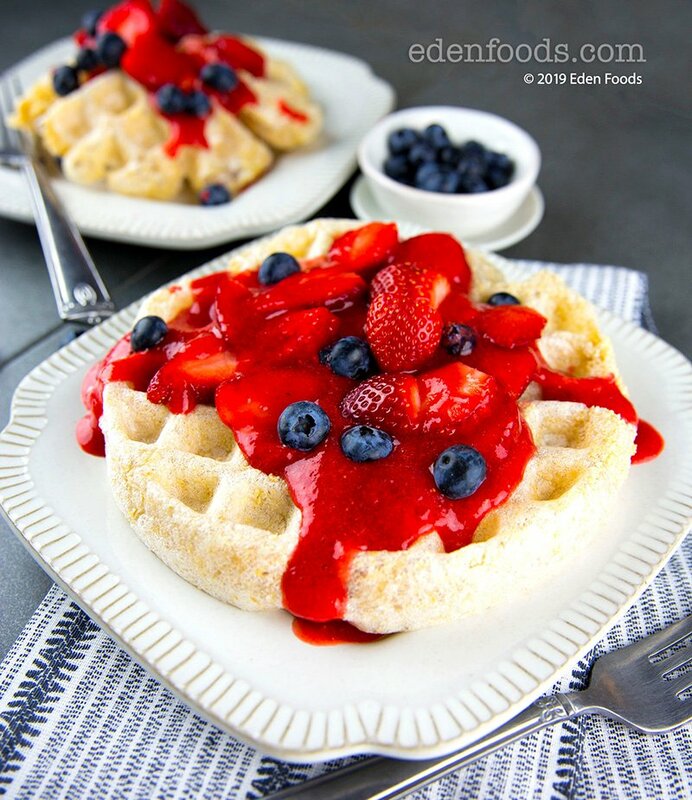 While the waffle is cooking, place half the strawberries and the syrup in a blender and puree until smooth. Slice the remaining strawberries and set aside. Remove the waffle and place on a plate. Sprinkle sliced strawberries and blueberries over the waffle. Pour strawberry syrup over. VARIATION: Serve with any Eden Fruit Butter or Apple Sauce in place of strawberry sauce.